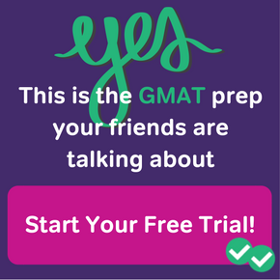 We all know that acing the GMAT is an important step on the road to business school. But the role of your GMAT score really depends on where you plan to study, and what the rest of your application has to offer. Today, our friends at Gradschools.com are here with more details. Your GMAT Score is a simple number that will have a tremendous impact on your academic future. You may be asking yourself; “Why do business schools place so much emphasis this silly number?” The answer to this question is possibly as complex as the test itself. So let’s start with the basics of understanding the importance of GMAT scores and then explore the complexities in greater detail. A simple explanation of why your GMAT score is so important is that many admissions committees believe the GMAT provides an objective basis upon which they can evaluate candidates. Often a student’s undergraduate grades are considered subjective, and it can be hard to compare one student’s grades against another’s because the level of course difficulty can vary greatly among undergraduate programs. This is the reason that US News ranks the top business schools based on GMAT scores. GMAT is the only true across-the-board criteria for business school applicants. And while it has been said that the quantitative is more important than verbal scores, most schools are looking for students who possess strength and balance in both skill sets. While this simple definition of the importance of the GMAT makes sense, understanding how your score affects your likelihood of being accepted to the MBA program of your choice is slightly more complicated. The importance of the GMAT in your application to an MBA program is significant, yet the weight of your GMAT score as part of your overall application package will vary by school. In most cases a strong GMAT score must be balanced with high undergraduate academic performance marks, a well-rounded background that makes you seem like an interesting person, work experience, and strong letters of recommendation. In addition to intelligence and analytical ability, most admissions committees are looking to assess your leadership, organizational and teamwork skills as well as your overall management potential. For this reason, ideal candidates present a very balanced and versatile profile. So this means that in many cases a strong performance on the GMAT is simply an order qualifier, the element of your application that helps you get your foot in the door, and it will ultimately be somewhat irrelevant in truly determining your candidacy. Most top ranked business schools receive an overwhelming number of applicants with very high scores. Therefore, the deciding factor becomes your previous academic performance (weighted by the college’s reputation and difficulty of curriculum) in conjunction with the other aspects of your background that you present in your application. For admission to highly ranked schools, it is important that you really showcase yourself as having mastery of the GMAT, an outstanding undergraduate background AND unique experiences that set you apart from other candidates. Further complicating matters; consider that certain business programs will place heavier emphasis on applicants GMAT scores if they are interested in increasing their rankings. B-School rankings are based in large part on the GMAT scores of entering classes. For this reason these ambitious programs are more likely to accept a lesser-balanced candidate with an outstanding GMAT score. It is a good idea to look at the GMAT and GPA ranges that a school accepts and the average scores of admitted students. If your score is more than thirty points below the average, it’s essential that your application demonstrate other areas of significant strength to overcome your GMAT deficit. If your undergraduate grades are low, particularly your junior and senior year, but you have a high GMAT score, consider taking a few post-college quantitative courses. Many admissions committees want evidence of your ability to perform academically in quantitative courses. In addition, look for other ways to beef up your application including leadership volunteer opportunities. 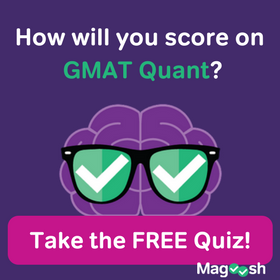 Since the GMAT is clearly an important factor in your admission to an MBA program, take it again if you scored poorly. An admissions committee will most likely look to your most recent score for evaluation. Multiple increasing scores will show tenacity and discipline, both strong indicators of future business success. Written by University of Pennsylvania graduate and freelance writer Kerry Auge and edited by Laura Morrison, the Content Manager of GradSchools.com. If you are interested in earning an MBA, find out here. Wondering what GMAT score you need for your dream program? 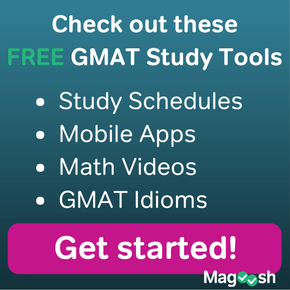 Magoosh’s GMAT Score for Top Business Schools infographic is here to help.